Webinar: Adopting a “Unified Mobile App” Strategy. 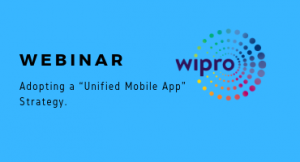 Listen to our guest, Wipro’s Mobility Head, CIO Office, Kartik Visweswaran and DronaHQ’s CEO, Divyesh Kharade in this informational on-demand webinar that tells you how your business can adopt a strategy with Unified App. Date & Time: On-Demand WebinarDuration: 30 MinutesWho should attend: CIO, Mobile Application Heads, Mobile Architects, Business Leaders, Application Leaders. Kartik has more than 20 years of experience in the software development industry. He has led many IT transformation projects to success at Wipro. Currently he is the heading Data, Mobility & Cloud Applications at Wipro’s CIO Office.He also promotes Wipro developed IP and solutions (from CIO office) to customers.Kartik is based out Bengaluru, India. Prior to Wipro is worked with IBM & PWC. CEO, DronaHQ – an enterprise mobility platform company. Divyesh oversees product development, team building and is responsible for overall product strategy at DronaHQ. He is focused on delivering innovative mobile experiences that delight our customers. DronaHQ is the fastest growing, cloud-based enterprise mobility solutions company and with innovative mobile application development platform (MADP) that helps global enterprises and agencies launch scalable, successful and engaging apps and entire digital businesses, fast. 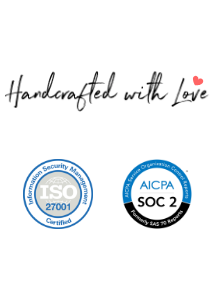 It provides out of the box enterprise capabilities including offline sync, identity management, rapid integration, data leak protection, push notifications, universal inbox, secured email access and ability to run customized business logic on unified end-point client app. DronaHQ empowers organizations to rapidly develop and deploy cross-platform mobile apps across devices, desktops, browsers today and in the future, with a lower total cost of ownership. DHQ Studio to design & build micro apps, DHQ SDK to integrate and DHQ Dashboard to customize & manage the Unified End-point Client (UEC) App, DHQ Email sync makes DronaHQ, very powerful suite to adopt. Designed to accelerate time-to-value and maximize user productivity.